There should be plenty more big days ahead for the speedy Sands Of Mali, who was one of the stars of QIPCO British Champions Day in 2018. Winner of the Group 2 Gimcrack Stakes as a two-year-old, he has subsequently shown himself to be one of the fastest three-year-olds in Europe. He won the won Prix Sigy at Chantilly in April on his return and then followed up in a hot renewal of the Sandy Lane Stakes at Haydock. Sent off at 15/2, he then finished a fine half-length second of 22 to Eqtidaar in the Commonwealth Cup at Royal Ascot, when he was possibly not helped by racing in the smaller stand-side group. Paul Hanagan, his jockey, said his mount might have preferred a slower surface. “The ground might just have been a shade too quick for my lad, maybe he was just feeling it and not letting himself down completely, but to finish second, beaten just half a length in a Group 1, he’s run a great race,” he said. Perhaps the fast going was not ideal, either, when he failed to shine in the Darley July Cup at Newmarket. He was also below-par last time when well held in the Larc Prix Maurice de Gheest at Deauville but the came Champions Day, a return to softer ground and a superb all-the-way victory in the QIPCO British Champions Sprint. “It’s been very frustrating – he just got nailed at the Royal Meeting and things went pear-shaped after that,” trainer Richard Fahey said. “He’s always worked like a nice horse at home, and today he’s proven that he is. He’s had a couple of goes [at Group One races] and today it’s come good so I’m delighted. 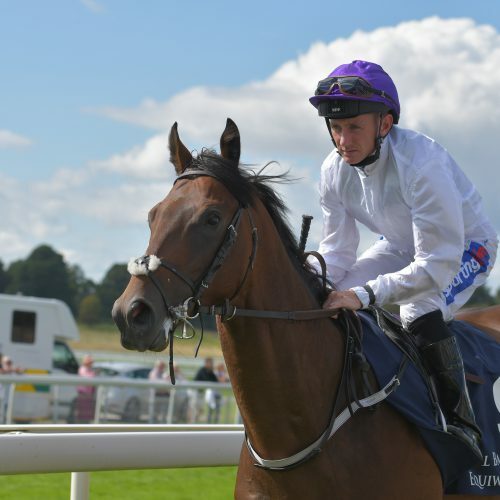 “I don’t know why he’s been beaten lately – maybe he just hurt himself a little bit on the quicker ground at Royal Ascot, and I felt he ran okay at Haydock last time out, but today was where we thought he should be. What they should be and what they actually do are quite different sometimes. Sands Of Mali made his 2019 return in the Al Quoz Sprint at Meydan and showed plenty of his usual zip before fading.